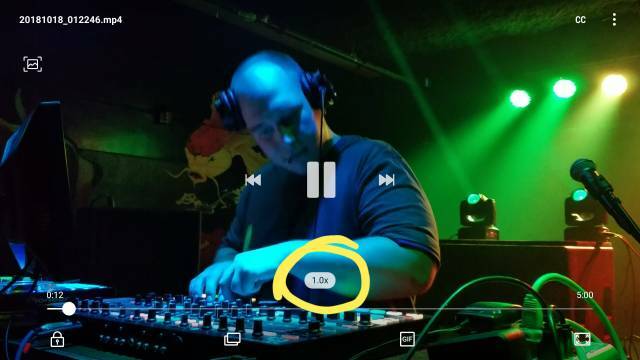 How do I change the video playback speed (so it plays faster or slower)? I don't want to edit the video, just toggle between different speeds (0.50, 0.75, 1, 1.25, 1.5 etc.) while playing - similarly to the option on Youtube. So far as I know, without editing, you can't. Tap the 1x and you can change playback speed. You might need to open settings and enable playback speed to get it to show. Of course I have absolutely no idea what videos you are talking about, or what phone you have. My answer really only applies to playing videos from your gallery on Samsungs video player. You need to find a video player that supports that feature.